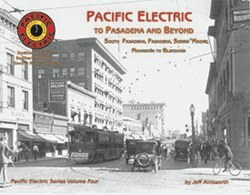 This volume features several routes to Pasadena including: South Pasadena, Short Line, Mt. Lowe, Sierra Madre, Oak Knoll and Monrovia-Glendora. The book also includes color-keyed maps.